Personal Injury Lawyer Albany: Can Settlements Be Taxed? The arena of personal injury law is already complex, and adding questions of taxation into the fold doesn’t necessarily simplify matters. When it comes to personal injury settlements, one of the questions our Albany law firm gets most frequently involves whether settlements are taxable. As with most legal and tax-related matters, the answer is that it depends. 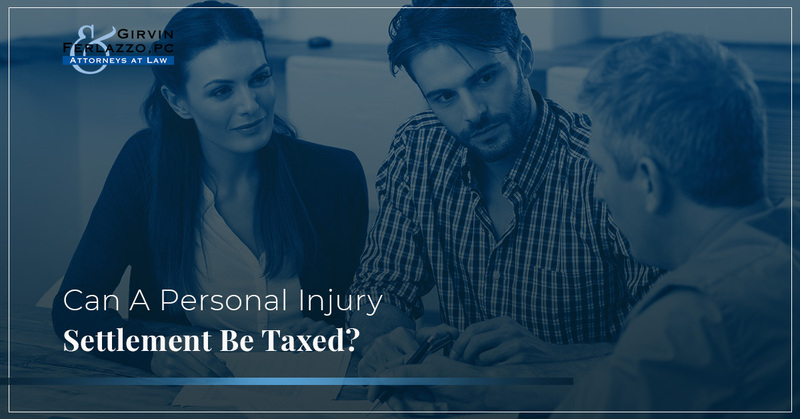 While each case differs regarding whether its taxable or not, personal injury settlements at least follow the same general guidelines as outlined by the Internal Revenue Service (IRS). We want to provide an overview of these general guidelines, so you can have a sense of what to expect regarding the taxability of your personal injury claim. Because this is an intricate subject, we first and foremost recommend speaking with a personal injury lawyer about your situation. In general, a settlement you receive as a result of a personal injury claim is not taxable. For example, assume that an individual won $10,000 to cover surgeries, medicine, and physical therapy directly associated with the personal injury claim. This $10,000 would not be taxable by neither federal nor state agencies under IRS guidelines. Again, the salient point is that these forms of compensation arise from physical injury or sickness. As such, the money you receive to cover costs associated with your injury is generally non-taxable. Personal physical injuries or physical sickness — If you receive a settlement for personal physical injuries or physical sickness and did not take an itemized deduction for medical expenses related to the injury or sickness in prior years, the full amount is non-taxable. Do not include the settlement proceeds in your income. According to this statement, the IRS generally will not disturb an allocation so long as it is consistent with the settled claims. In other words, the information you report to the IRS should be consistent with the settlement claim. Unfortunately, it’s not as simple as “compensation settlement = non-taxable.” The IRS also takes into account whether you’ve deducted related expenses in a previous year. income that portion of the settlement that is for medical expenses you deducted in any prior year(s) to the extent the deduction(s) provided a tax benefit. If part of the proceeds is for medical expenses you paid in more than one year, you must allocate on a pro rata basis the part of the proceeds for medical expenses to each of the years you paid medical expenses. . . In Layman’s terms, you cannot double dip and be compensated twice for the same expense. Say, for example, that you paid out-of-pocket in 2017 for a knee surgery related to your personal injury claim. You have already deducted this expense on your 2017 income tax return. If you win your personal injury lawsuit and receive compensation for this expense, however, you must pay the IRS for what you have previously deducted. You cannot deduct this same expense twice. This amount, considered “other income,” must be reported to the IRS. The other frequent exception to non-taxable personal injury settlements is interest payments. If you earn interest on any money from your personal injury settlement, this interest is taxable. Say, for example, that you have money from your settlement sitting in an interest-accruing bank account, health savings account, or other savings account. If this money earns income, you are liable for paying tax on that income. Again, these are just the broad brush strokes of personal injury settlements and taxable income. For more specific questions, it behooves you to contact a personal injury lawyer or tax expert. Not only can personal injury lawyers help to litigate your case, but they also know how to file separate claims to maximize tax benefits. For instance, you might want to file two claims against a defendant: one involving personal injury and the other involving a different claim. This strategy delineates which settlement goes toward personal injury and which doesn’t, making it easier to understand what income is taxable. It usually takes the knowledge of an experienced personal injury lawyer to understand and execute these allocations. If you are looking for a personal injury attorney in the Albany area, work with Girvin & Ferlazzo. Our team of personal injury lawyers has recovered millions for our clients involved in personal injury lawsuits. Give our team a call today to see how we can help you in Albany.